﻿ Macia Monasterio de los Basilios Hotel, Granada | FROM $53 - SAVE ON AGODA! Have a question for Macia Monasterio de los Basilios Hotel? Occupying a converted 17th century monastery, Macia Monasterio de los Basilios Hotel is rife with history and Andalusian allure. 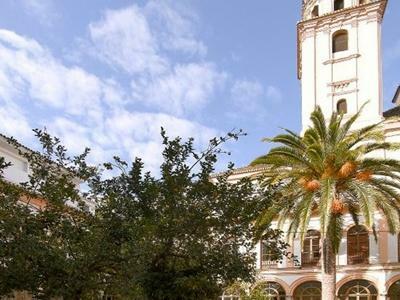 A 15-minute walk from the center of Granada, the Macia Monasterio de los Basilios Hotel is a simply facilitated hotel that features the ornate tiling and original cloisters of the building's former incarnation. Rooms have the basic furnishings one would expect from a former monastery, plus the modern additions one expects from a 3-star hotel, including satellite TV, internet accessibility, air conditioning, and a private bathroom. The first floor courtyard provides a beautiful and peaceful setting for repose while the nearby Calle Navas offers a lively array of tapas bars and cafes. The Alhambra is also within walking distance for guests that like uphill climbs. Our stay was great and the hotel personnel and staff were very accommodating and helpful. 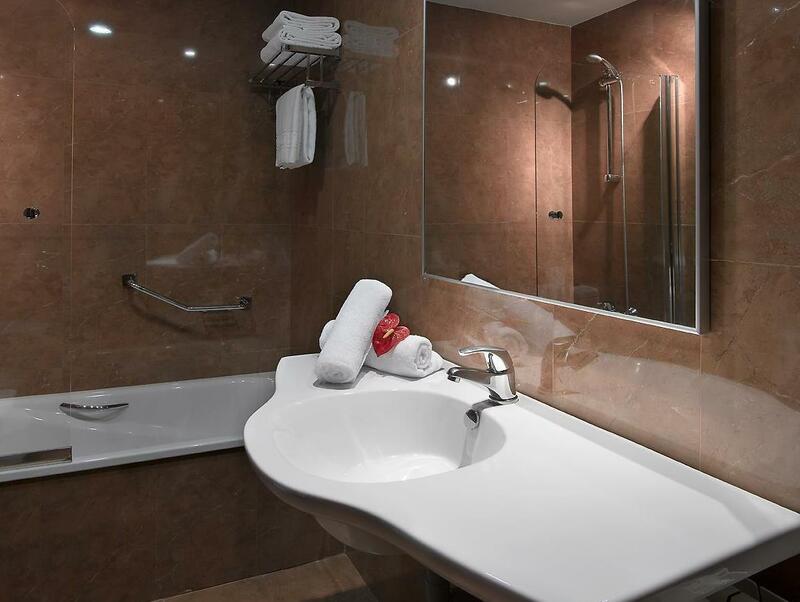 The hotel is very clean besides the fact that is newly renovated. The spacious sala on the third floor is great for photo op and for relaxation. The rooms are also spacious. Interesting old building with modern rooms. 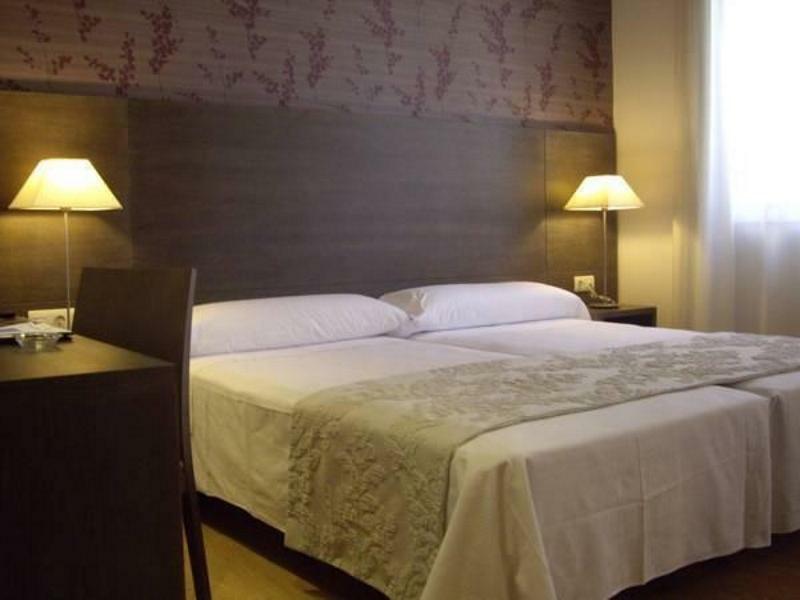 good value and good location to walk to the city centre and take a bus (euro 1.20) up to the alhambra. the bedrooms/bathrooms are modern and of adequate size. the breakfasts are good. En general mi estancia muy bien, salvo por el detalle de que a las 12.01h ya estaban llamando para desalojar la habitación... teniendo en cuenta que el hotel no estaba lleno y que yo estaba saliendo, me parece un flaco favor para el hotel. Generalmente se suele ser un poco más laxos. Situado junto a una iglesia con campanario y con la mayoría de las habitaciones dando al patio de un colegio.... ¿Sobran explicaciones del título verdad? Esta a un paso de todo, trato cordial. Volveremos y lo recomendamos. un ancien pensionnat transformé en hôtel ,cloitre pas très accueillant c'est dommage mais belle chambre ,calme . accueil efficace . Zentrale Lage, riesige öffentliche Tiefgarage direkt um die Ecke des Hotels, für allerdings 17.-€ pro Tag. Hinter einer sehr schönen Fassade verbirgt sich eine gesichtslose Massenunterkunft. Die schmucklosen etwas heruntergekommenen Zimmer sind größtenteils auf einen Sportplatz bzw. den Innenhof einer Schule ausgerichtet. Der Sportplatz wird bis Mitternacht bei Flutlicht von Fußballern bespielt, mit entsprechendem Lärmpegel. Obwohl wir um eine ruhiges Zimmer baten, wurden wir in ein Zimmer zum Sportplatz einquartiert, mit dem Hinweis, daß abends hier niemand spielt. Als wir uns um 23.00 beschwerten, hieß es, die Flutlichtanlage wäre spätestens um 23.30 aus, was natürlich nicht der Fall war. Vom netten Nachtportier wurde uns der Umzug in ein Zimmer zum auch nicht ganz ruhigen Innenhof (Hochzeitsfeier) ermöglicht.